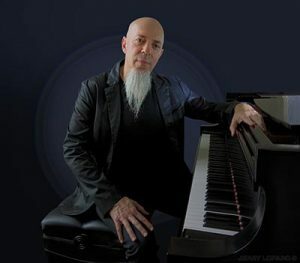 Interview: Jordan Rudess Talks Oz Tour – Spotlight Report "The Best Entertainment Website in Oz"
We were lucky enough to have a chat to the one and only Jordan Rudess, keyboard player of progressive metal band Dream Theatre, who was recently crowned “Best Keyboardist of All Time” by Music Radar. We chatted about his upcoming Australian tour “From Bach To Rock; A Musician’s Journey”, and what’s next for this wonderfully talented man. SR. You’ll be heading to Australia for the “From Bach to Rock; A Musician’s Journey” tour, tell us a bit about that. 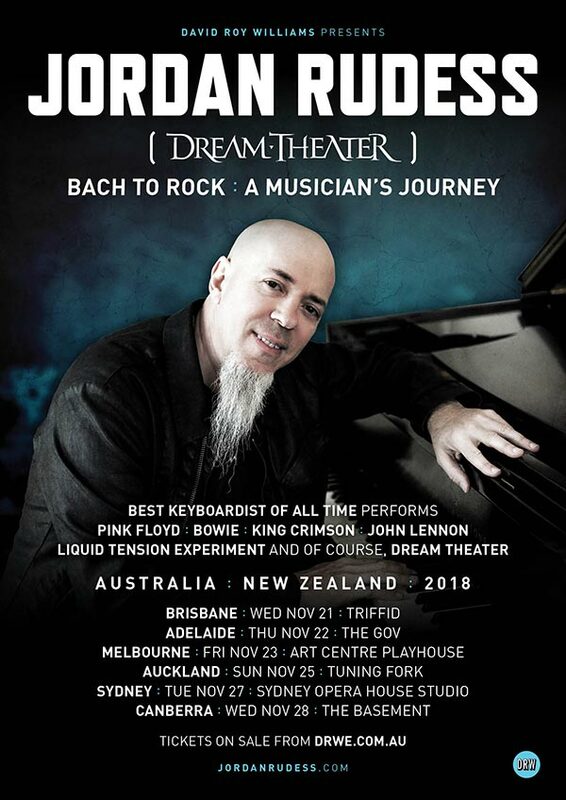 I’m really excited to be coming to Australia for the first time on my own, I’ve been there a bunch of times with Dream Theatre, but this time I’m coming on my own to do a show that is called “From Bach to Rock”. It’s a musician’s journey, it tell my story, from the time I went to Julliard as a young pianist to the present time with Dream Theatre, and all the stuff in between. What’s cool is that I get to tell the story from the piano, and It’s a musical evening, but it’s also a storytelling evening. We get the chance to really engage with the audience on a level that I have not been able to do in Australia before. During these shows I’m doing my own version of a meet and greet, which is kinda different to the way Ream Theatre have done them in the past. It’s a little bit more intimate, I’m gonna start off at the piano and invite people in, and het them to hear me play and talk a bit about my piano approach, my technique, my improvisation, and answer some questions. I’ll also be doing the normal meet and greet thing, taking pictures and signing things, but having the extra personal touch on this tour will be really special. SR. You’re quite famous for being in the band Dream Theatre, will you be playing any of those songs on this tour? There’s a part in the journey where it reaches Dream Theatre, and I play some of the softer songs in that section. I also plan to do a cool piano version of “Dance Of Eternity” which is a big dream theatre prog track, it makes a cool piano piece. So yeah, there will be some Dream theatre songs mixed into the journey, maybe I’ll even throw some Liquid Tension material in there. I’ll play some Bach, some other prog rock, and there might even be a blues if you’re lucky. SR. Do you tie in any teaching moments during the show? No, I am doing a master class in Australia at some point, but the show isn’t about teaching, it’s more about storytelling and making music? 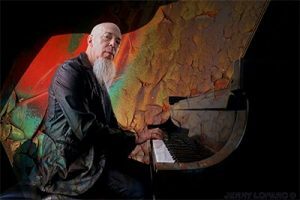 SR. What’s next for Jordan Rudess after this tour, will there be any solo albums in the future? Yeah, there’s lots of things going on, for one I have a signed a record deal with Mascot Records, and I have a solo album coming out in April, which I’m really excited about. It’s a big work, a big rock album with a lot of cool guests, and intricate crazy music. I’m doing some singing on it, I’ve got a nice assortment of people that I like to work with on there too. The new Dream Theatre album is being mixed at the moment and will be out in February, and we’re all really excited about that. Before I head to Australia I’ll be heading over to Asia, so there’s a lot of exciting things happening at the moment. SR. You’ll be playing in Adelaide at The Gov on November 27th, have you performed at that venue before? I don’t think so, it will be the first time for me. I’ve heard it’s an iconic and great venue down there, so I’m looking forward to it. SR. Have you got any fond memories of Adelaide from the past? Well, it’s funny, even though you guys are so far away, I look forward to going there. Every time I’ve been down there, it’s been a really wonderful time. Usually we go when it’s winter over here, so it’s nice and warm over there, which is a bug bonus. Coming from New York, touring down there has a nice calm feel to it. SR. What initially inspired you to start playing the keyboard? Were there any major artists that influenced you to pick up the instrument? Well I was going to classical music school from the age of nine, but during my later teenage years, I heard some of the great progressive rock keyboard players, like Rick Wakeman, and Patrick Moraz, and Kieth Emerson, who was probably my biggest influence at the time. I’d been doing some professional shows as a young pianist, and those influences really encouraged me to explore what I could do with rock keyboards and electronic keyboards, which set me on the next part of my journey. SR. These days you’re commonly known as the best keyboard player of all time, did you ever think that would happen, and how does it feel to be crowned that honourable title? It feels like a combination of things. It feels like a bunch of responsibility, it’s very flattering, I’m very honoured, I never thought that anyone would recognise my work in that way. It’s amazing, I say that knowing that there’s so many wonderful musicians who do different things than I do, and we all have our expression and our voice, it’s hard to say one’s better than the other. It’s lovely, and I feel the responsibility to keep getting better at my instrument. SR. If you could collaborate with any artist, dead or alive, who would it be, and why? Well I always say it would have been great to be alive in the era of Jimi Hendrix, I always found him to be one of the coolest musicians, and I’m very fond of his approach. That would have been an interesting jam session. Sometimes when I play my own leads I think of him and the way he approaches playing music. SR. Is there anything else you’d like to say to your fans in Australia? I’m really looking forward to going to Australia and getting to say hello to all of my Australian fans, Adelaide especially because we don’t get there as often, it’s a real treat. It’s going to be awesome. Check out Jordan Rudess on his “From Bach To Rock; A Musician’s Journey” tour. It will be a night to remember for sure. Keep up to date with what Jordan Rudess is doing by following him on social media or via his website. Photo Credit: Jerry Lofaro via David Roy Williams.